Carnage Issue #8 Curve Issue 8 of Carnage is a collaboration with graffiti writer, artist and illustrator Curve. Box trucks have come to take the place of subway cars in New York as moving canvases for graffiti writers that allow their work to travel across the city. Curve explores the theme of box trucks in the form of photos of painted trucks, drawings, illustrations and a series of comic strips created exclusively for this issue. The zine also comes with a cut-and-fold Curve box truck model, a custom ultra flat black truck air freshener, a set of vinyl stickers and a handwritten Curve sticker. Issue 8 is limited to 500 numbered copies with screenprinted front and back covers. Large format, full color, perfect-bound, 52 pages. Also available: A limited run of Curve T-shirts and a hand-finished 18 x24â€ Curve screenprint in an edition of only 45. 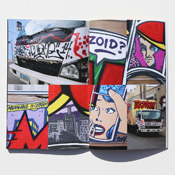 Issue 8 of Carnage is a collaboration with graffiti writer, artist and illustrator Curve. Box trucks have come to take the place of subway cars in New York as moving canvases for graffiti writers that allow their work to travel across the city. Curve explores the theme of box trucks in the form of photos of painted trucks, drawings, illustrations and a series of comic strips created exclusively for this issue. The zine also comes with a cut-and-fold Curve box truck model, a custom ultra flat black truck air freshener, a set of vinyl stickers and a handwritten Curve sticker. Issue 8 is limited to 500 numbered copies with screenprinted front and back covers. 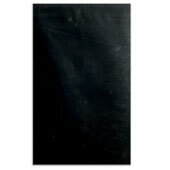 Large format, full color, perfect-bound, 52 pages. Also available: A limited run of Curve T-shirts and a hand-finished 18"x24â€ Curve screenprint in an edition of only 45. This product was added to our catalog on Tuesday November 04, 2014.